Making something different and being true to one's creative soul are sometimes hard to reconcile. 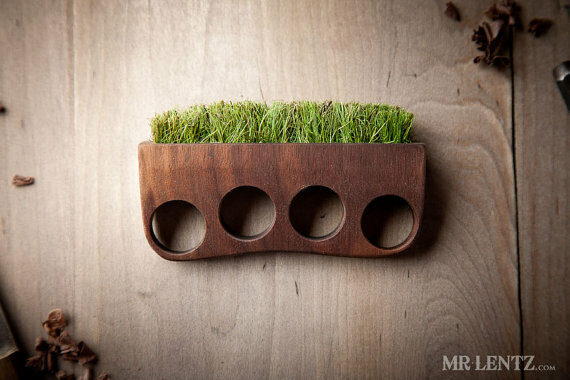 Add on a desire to make something eco-friendly and the task gets a little harder. But Evan over at Mr Lentz (Mr Lentz on Etsy) manages just fine. 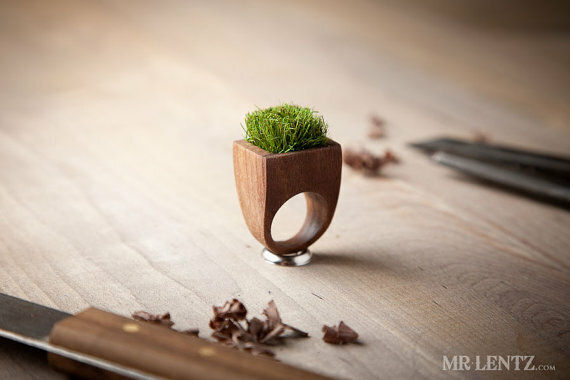 His handmade wooden mini planters featuring preserved grass or moss are wonderful examples of jewelry designs made with such care. 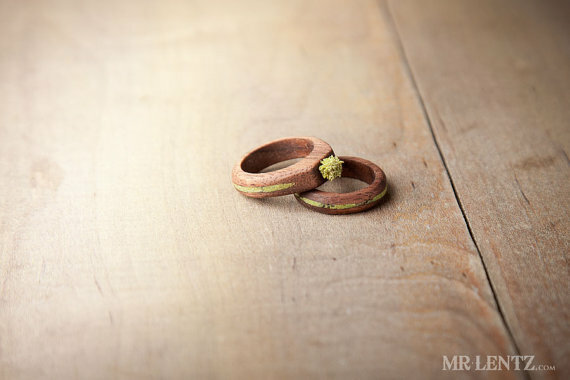 He says he "strongly believes in creating without destroying" so he hand carves his wooden rings and pendants from sustainably harvested wood. He also makes the pieces from all natural stains (plant extracts) and even polishes them up with pure organic extra virgin coconut oil. He adds, "The grass is all natural and has been dried and preserved, so there is no maintenance necessary!" 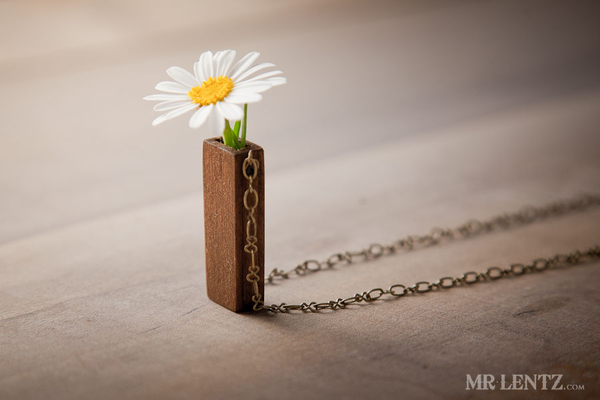 His wooden vase pendant necklace at the top even allows for the inclusion of a flower from the garden to brighten up the piece! Mr Lentz calls himself "A modern cowboy of the creative revolution". 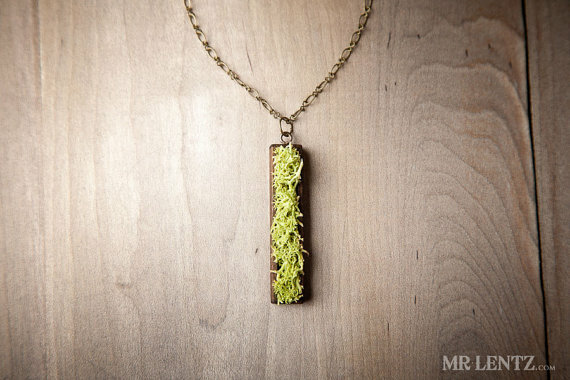 He explained, "I started creating jewelry because I had an idea in my head and I wanted to see if it would work. In the past I would think too hard about it, maybe – I’ve never made jewelry before, or I don’t have any experience or the right tools, or I don’t even wear jewelry! Now, I say screw it. If you feel something – go for it. Life is short, make something that will last.